We are very sorry to announce that due to an emergency in Zadie Smith’s family our scheduled event with Ms. Smith on the 4th of May 2017 will be rescheduled for Fall 2017. The date is yet to be determined. 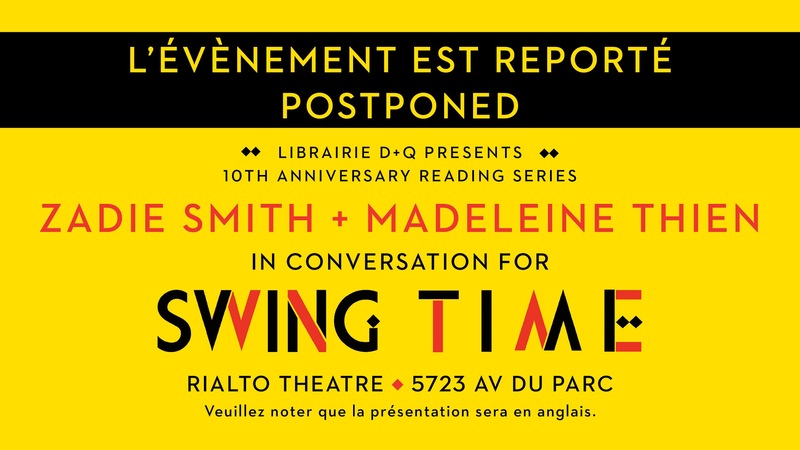 We apologize for the inconvenience and will honour any tickets already purchased for the fall date. If you have purchased tickets and know that you will not be able to attend in the fall we will be happy to a offer you a refund (please note: if you received the ticket free with book purchase you may not request a refund for the free ticket). We sincerely apologize for the inconvenience and hope to see you in the Fall. Our thoughts are with Ms. Smith and her family.